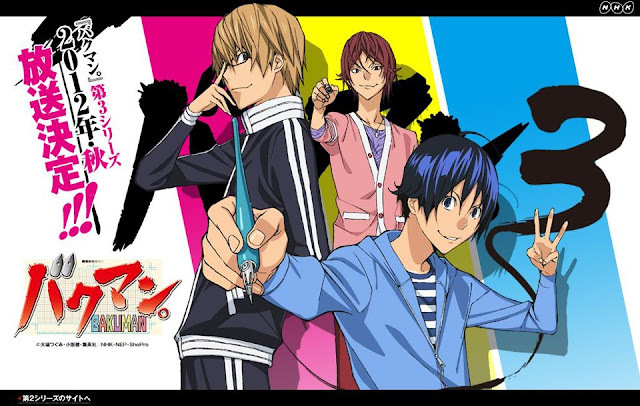 Bakuman and Medaka Box will both return this Autumn. The new season of Medaka Box has been announced as Medaka Box Abnormal and will air in Japan on the 10th of October. This season will focus on the Flask Plan Arc where Medaka and the others will have to face strange and wild challenges from "special" members of the student body. Bakuman will also be returning with its third season. Many have speculated that this will be the final season, as the manga has now finished and also that the anime moves fast. Following from the last season Mashiro and Takagi seer to new heights to achieve the wish and dreams that they have been working hard for.